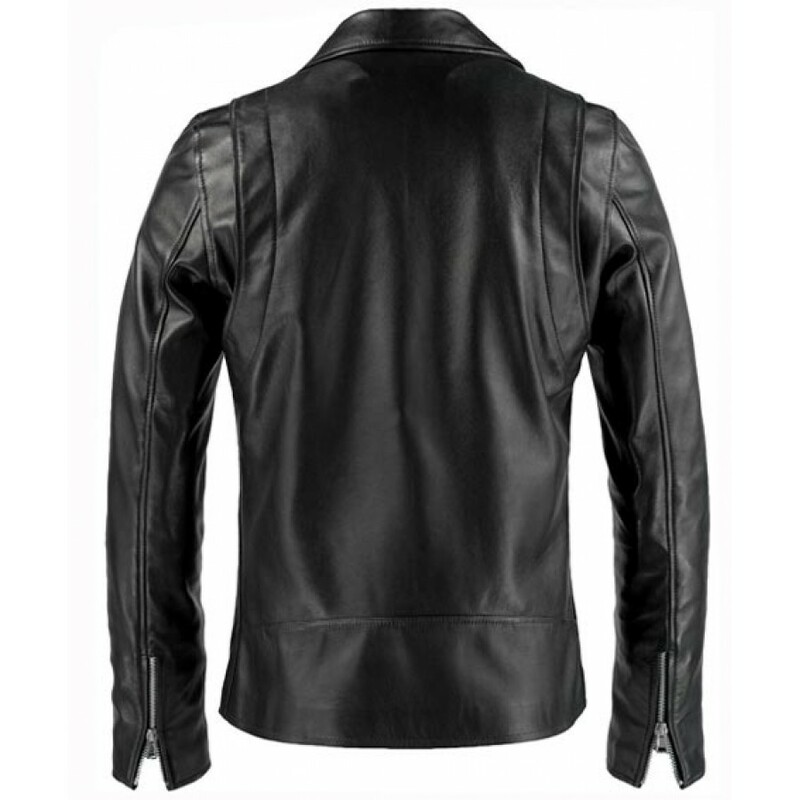 This hot snazzy looking Rider's Jacket is the clothing delivered by our inventive fashioners motivated from the motion picture "Apparition Rider". 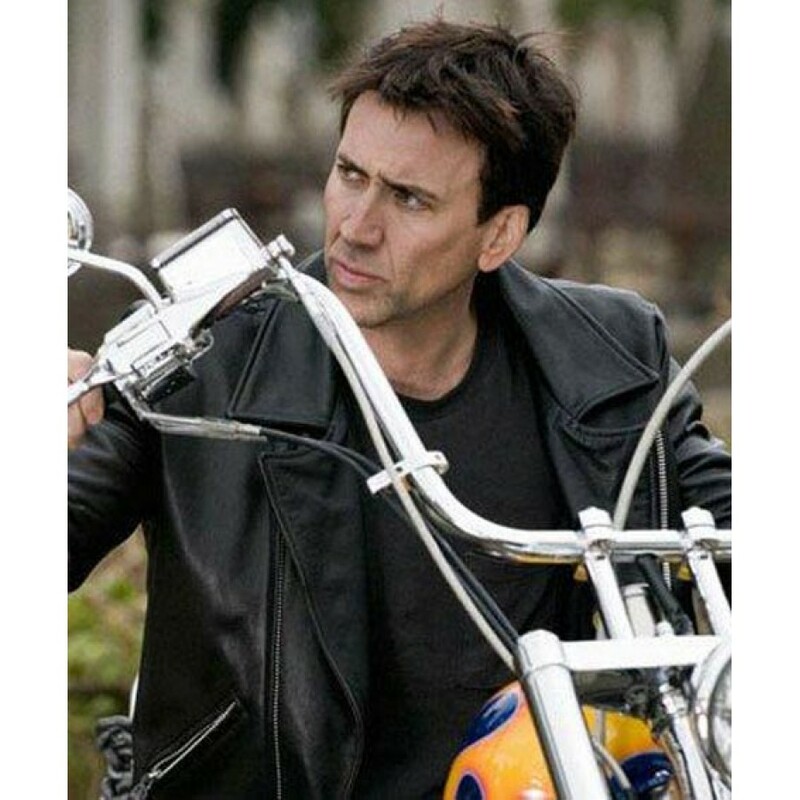 Ghost rider leather jacket worn by Nicholas Cage when he assumed the part of 'Johnny Blaze', and was seen wearing this jacket as a component of his bike gear. 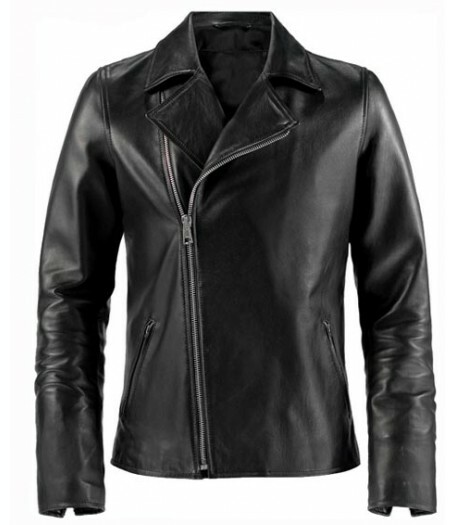 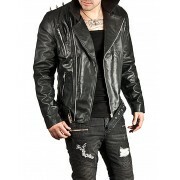 This Nicolas Cage Jacket is produced using 100% authentic cowhide calfskin and additionally incorporates inner gooey coating to provide for you most extreme solace and solidness. 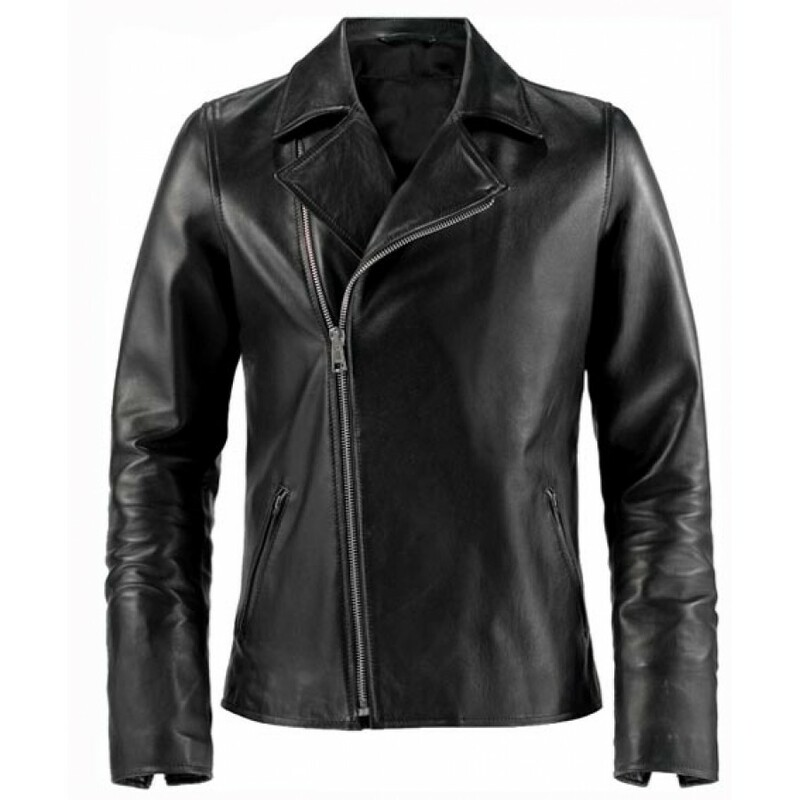 Not just it might be connected as a biker's wear however you can likewise wear it in casuals also. 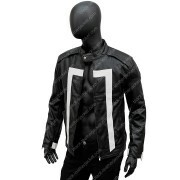 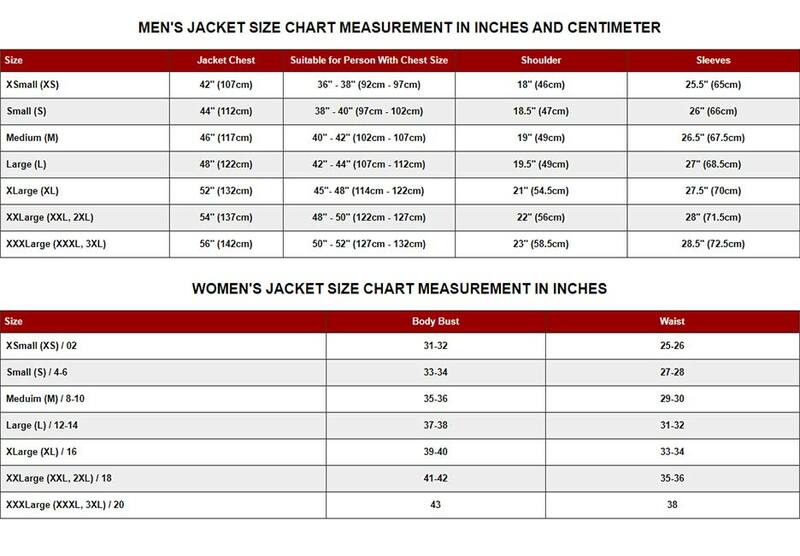 Design details include black color, zipped cuffs and collar.